Want to order donuts online? Shipley Do-Nuts and DoorDash have paired up in the Houston area to deliver hot, fresh Shipley Do-Nuts, Kolaches and more, directly to your door. Discover the top ten reasons to order donuts online for your team today. We all know that donuts are a popular breakfast food. Drive-thru lines can get backed up. Especially at rush hour. So, whether you’re industrious or just plain lazy, avoid the line. Order donuts online. 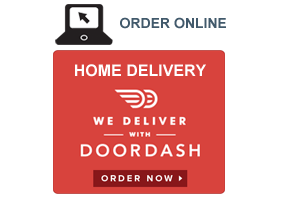 Schedule a delivery time that’s convenient for you. We’re not gonna ask why you’re late, that’s between you and the boss. Just do yourself a favor and have some breakfast. Order donuts online. Whether you’re taking care of sick kids or waiting for the cable guy, don’t fret. You can still satisfy your sweet tooth with door-to-door donut delivery service. Steak and eggs may sound delicious, but in the hands of an amateur, even the best intentions can go up in smoke and char. Don’t dismay. A box of assorted donuts will cheer you up in no time. Maybe you’re finishing a major paper, a homework project, a business presentation, or just coming off the night shift–but have places to be come sunrise. Give your body the boost of energy it needs by ordering a box of assorted donuts, delivered directly to wherever it is you need to be. Even the most bitter brew will sweeten up when you dunk an icing-covered or glazed donut. Not everyday is a perfect day. Maybe your boyfriend/girlfriend just broke up with you. Maybe your dog is sick. Maybe your car got rear-ended in morning traffic. Or maybe you broke your new smartphone. Whatever the reason, give yourself a self-esteem pick-me-up by ordering donuts for your class or office. Even if they don’t say it out loud, nothing says ‘I love you’, like a box of donuts, emptied in under a minute. Okay, #realtalk. Not everyone enjoys a chatterbox first thing in the morning. Make the noise stop by offering them the choice pick of an assorted box of donuts, delivered fresh and quick. You’ll be rewarded with the silence you crave. When you’re asked to run out for donuts and coffee for the big meeting, just sit back, order donuts online, and relax. Enjoy their looks of panic and frustration while you sit at your desk, casually playing Mindsweeper and Farmville at the same time. Ordering donuts online for your team, family, colleagues, classmates, or club is just good karma. Make your future even more delicious by handing out donuts to your peers. After all, what goes around is sure to come around. Good vibes are bound to come back to you. We hope you enjoyed this list. Please let us know what you think by leaving a comment on Facebook, Google+, or Twitter, where we frequently hangout.